PLUSCO 115 Metal Free Thread Compound is designed to replace metal powdered tool joint and drill collar compounds commonly associated with most conventional thread compounds. This environmentally safe thread compound doesn't contain any lead, zinc, aluminum, copper or other metallic additives which could contaminate a drill site. This product does not contain any hazardous ingredients as outlined in OSHA 20 CFR 1910-1200 and also meets the requirements as outlined in tentative API Bulletin 7A1. PLUSCO 115 Metal Free Thread Compound contains an additive package designed to provide total protection to thread and shoulder surfaces. This is especially true during make-up and breakout. It provides ease of make-up and breakout under adverse conditions. PLUSCO 115 Metal Free Thread Compound contains corrosion and rust inhibitors, provides excellent water resistance and adheres to wet metal surfaces. 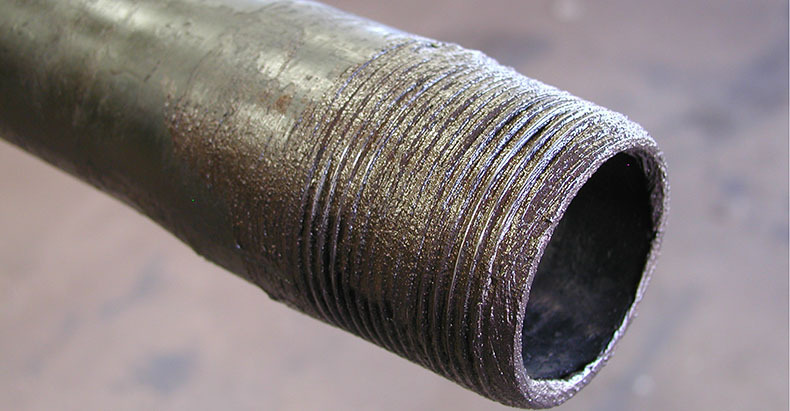 Tool joints can be made up with made up connection. PLUSCO 115 Metal Free Thread Compound will not harden, and protects against galling or seizing. It also remains brushable over a wide temperature range. PLUSCO 115 Metal Free Thread Compound is recommended for use on tool joints, drill collars and other rotary shouldered connections.